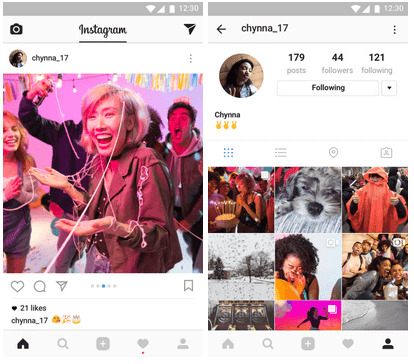 You can now post and share multiple photos and videos in a single post on Instagram. This feature was recently released by Instagram, and it's a good one; as you no longer have to post and share photos or videos one at a time. This feature now allows you combine up to 10 photos, including videos in a single post and share with friends. After you shared the photos/videos, you can swipe through to see them all. Interesting huh? When uploading to your feed, you’ll see a new icon to select multiple photos and videos. It’s easy to control exactly how your post will look. You can tap and hold to change the order, apply a filter to everything at once or edit one by one. These posts have a single caption and are square-only for now. On your profile grid, you’ll notice the first photo or video of your post has a little icon, which means there’s more to see. In feed, you’ll see blue dots at the bottom of the posts to let you know you can swipe to see more. You can like and comment on them just like a regular post. WHERE TO DOWNLOAD THE LATEST VERSION OF INSTAGRAM? The latest update v10.9 is available on the Google Playstore if you are an Android user, and it's also available on Apple store if you are an iOS user. Instagram download apk. Instagram download photos. Instagram download video. Instagram download for android apk. Instagram download for iphone. Instagram download for pc.